The RAM-E-202U 3.68" Base with 3.38" Ball features a large 3.38" rubber ball attached to a 3.68" diameter round base with pre-drilled holes. 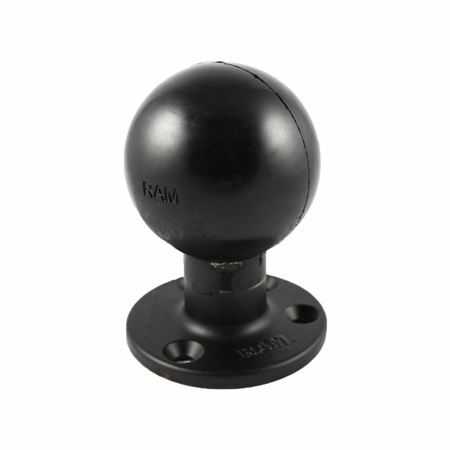 The RAM-E-202U RAM 3.68" Base w/ 3.38" Ball from the RAM Mount Bases range is made of a 3.68” diameter round plate that is joined at right angles to a 3.38” diameter rubber ball. The plate is built with the universal standard AMPS hole design. It is professionally powder coated with marine grade aluminum.